Color coding allows you to distinguish between areas easily. 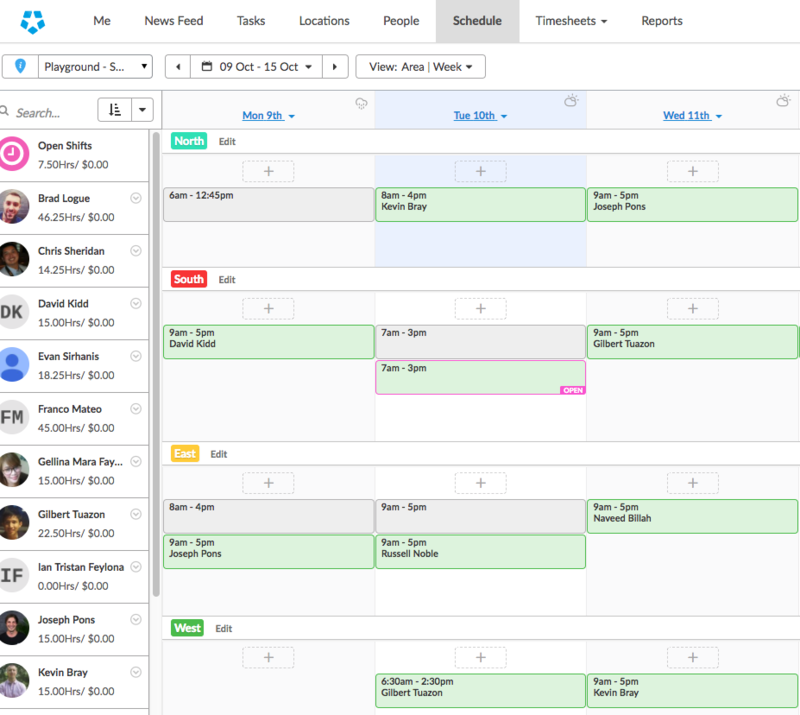 Color area coding allows you to easily distinguish between areas when viewing your schedule. To assign a color to an area, head to the Schedule page. Now view your schedule by AREA. Click 'Edit' next to the area you would like to assign a color to. A pop-up box will appear. Click the 'Color' drop-down box. The following will appear. Here you can either select one of the preset colors, or you can enter in a color hexcode. Remember to click SAVE at the bottom of the Edit Area module to confirm your changes. You can also edit and change the color of each area via the 'Areas' tab within your Location Settings. Simply follow the same steps as above to change the area colors. Where will color area coding appear? You will be able to see this is a number of places. Please note that color coding will not appear in the CSV file export.